Beaks is a beautiful toucan who has a black body and the back of her head is also black. Her face and belly are pink and tie-dyed and she has blue wings and glittery green eyes. 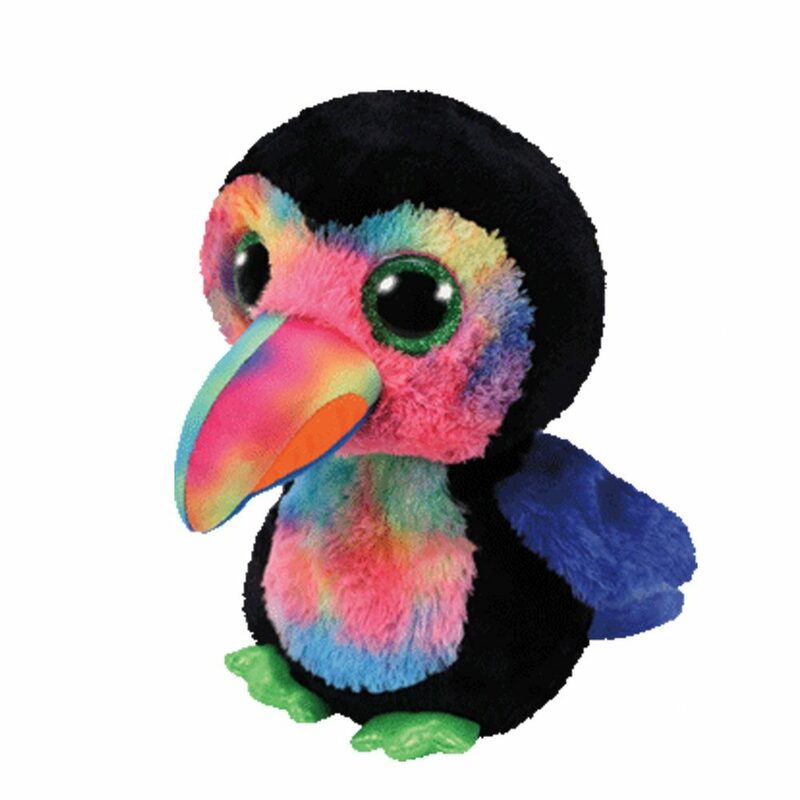 Her beak is brightly coloured like a rainbow and her feet are sparkly and bright green. Beaks was released in June 2017. Her Birthday is on 16th November. There are three different variations of Beaks. This is the larger 9″ version. There is also a small 6″ Beanie Boo and a key clip.